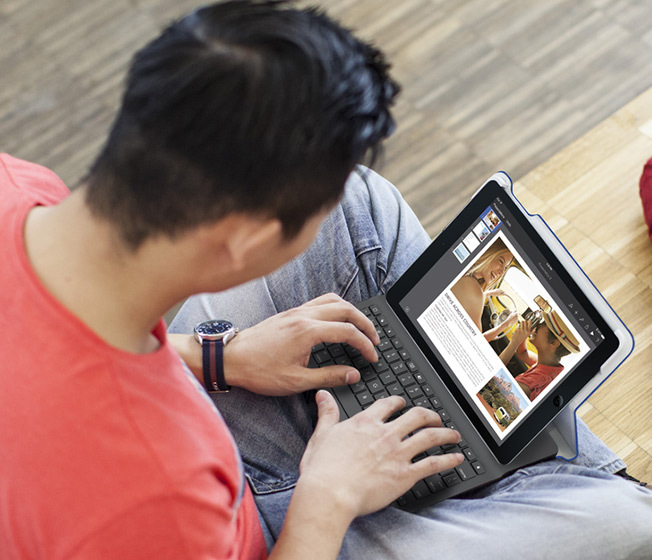 Let’s turn your iPad® into a laptop. Comfortably-spaced keys. The ideal, concave, key shape. A familiar layout you won’t have to “re-learn.” And a dedicated row of speedy iOS shortcuts. 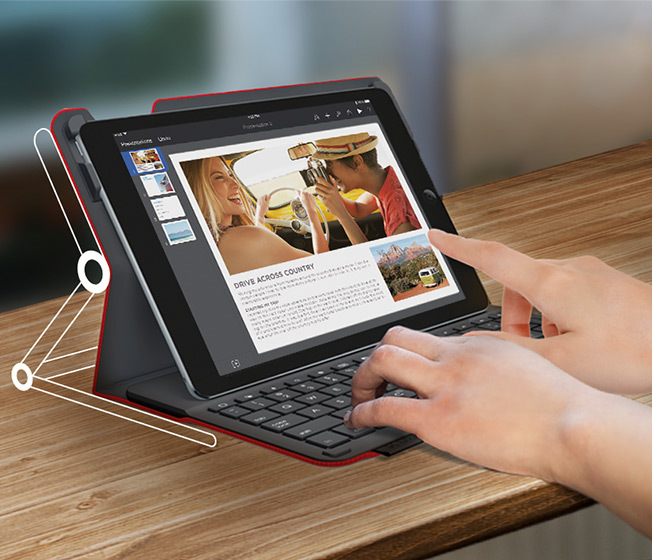 The keys have plenty of room, yet the screen is still right at your fingertips for fluid interaction. iPad doesn’t bounce or tip over when you tap. It’s just one idea after another. 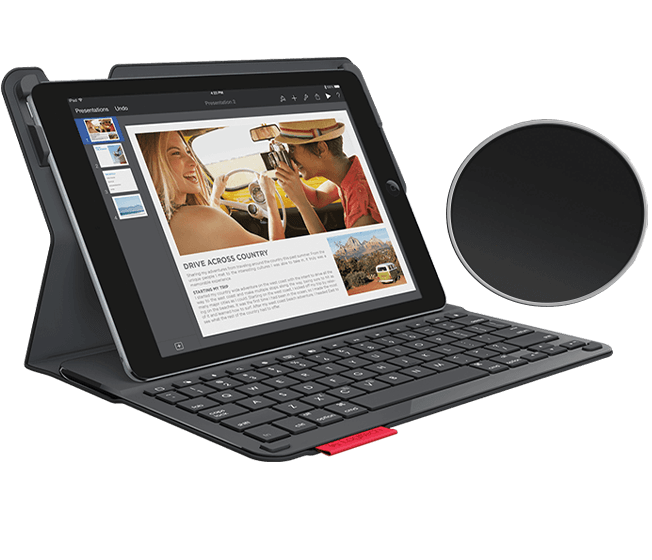 It’s a keyboard case when you need to type and not when you don’t- Typing mode sets ideal viewing angle for both typing and screen interaction. Typing mode automatically turns keyboard on. 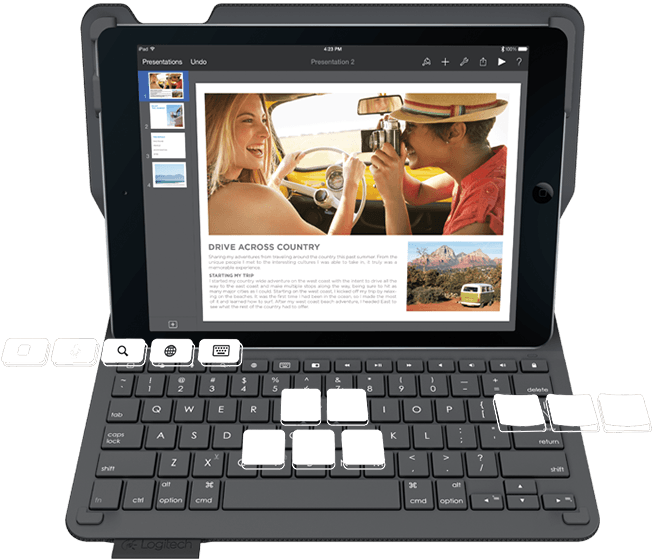 - Lay-flat reading mode automatically turns keyboard off.